Flick Pick is a podcast about movies. 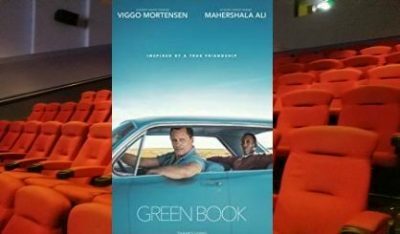 In today’s episode, Andrew Green reviews Green Book, the critically-acclaimed film with Mahershala Ali and Viggo Mortensen. In it, the two go on a tour of the deep south in 1962. Based on a true story, it’s likely to come up again come Oscar time. Scroll down and click the play button to hear the podcast. Click here to listen to additional episodes of Flick Pick.